The Dachshund is not a big shedder and is a great dog for people not wanting to deal with dog hair. Dachshunds can be found in a short hair, long hair, or wire hair variety. The short hair dachshund has a smooth, sleek coat and require very little grooming. 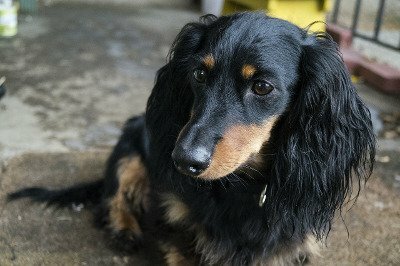 Long hair dachshunds have a slightly wavy hair and should be brushed daily to prevent mats and tangles. 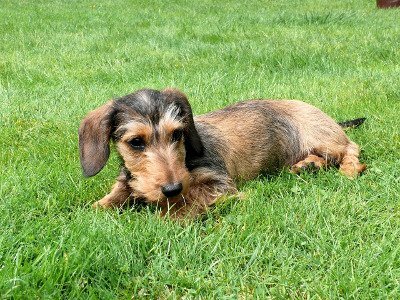 Wirehair dachshunds have short, wirey, rough coats and tend to have bushy eyebrows and beards. Dachshunds living in colder climates will benefit from a sweater during the cold months. Coat patterns can be solid, brindle, sable or mottled. 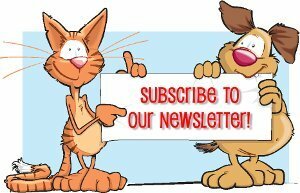 Colors vary from red, cream, black and tan, black and cream, chocolate and tan, blue and tan, and fawn and tan in all coat varieties. Dachshunds are very playful and brave, but can be stubborn at times. They enjoy chasing small animals or balls and were originally trained for hunting tunneling animals such as rabbits, badgers and foxes. They are intelligent, curious, and like to stay close to their people. 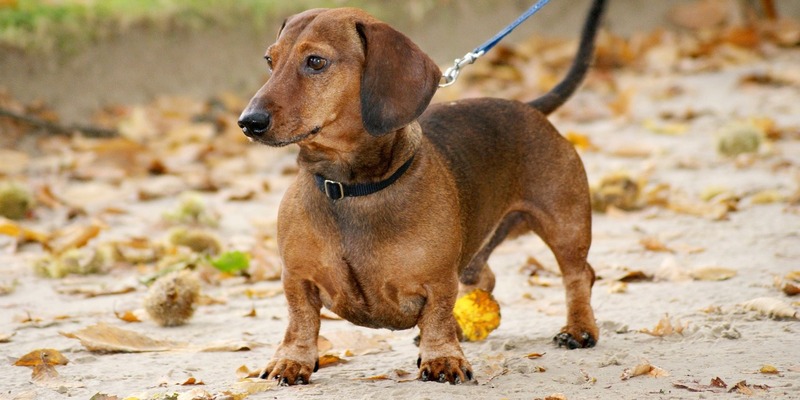 Dachshunds do tend to bark a lot and have a loud, deep bark for such a small dog due to their barrel chest. Dachshunds bond very closely with a single person and must be properly socialized from a young age, especially if they will be living with children, otherwise they can become snappy. The Dachshund is a good dog for apartment living because they are fairly active indoors and will be fine without a yard, though they do enjoy walks. It is advised to not let them get too fat as this could harm their back.